One hundred and twenty-five years ago an ancestor of mine traveled from the Midwest to Washington State and our family has been here ever since. Why would we leave? Wherever we go in Washington State, there’s something interesting to experience. Thinking about making your own journey west with your family? Here are our top ten things to do in Washington State! Visit Washington and book your hotel here! 10. Take a Journey on a Boat to Explore Fun New Places! 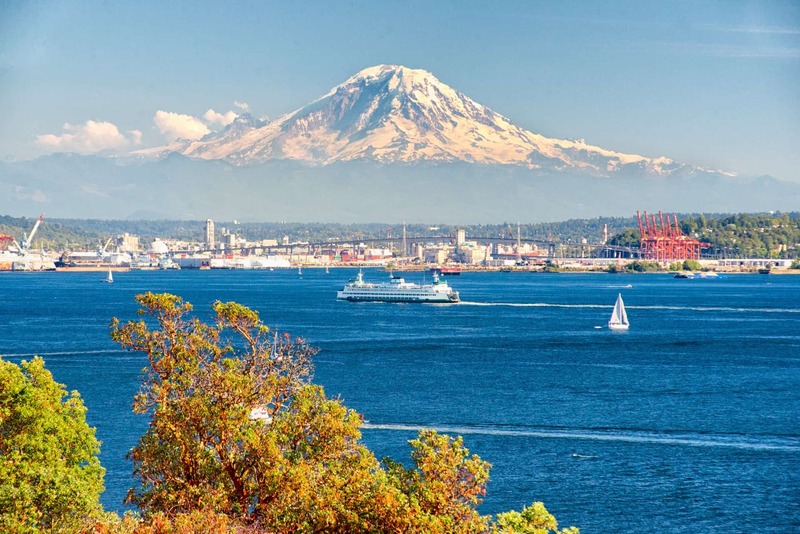 Washington State boasts the nation’s largest ferry system. The ferry serves as a great way to travel around the Puget Sound region. Ferries will take you out of your ordinary day and deliver you to something spectacular. Your family will enjoy both the journey and the destination in the Puget Sound. Eat delicious food and stroll along the waterfront on Bainbridge Island. Explore the great outdoors on one of the San Juan Islands. Learn about the history of the navy at a free and family-friendly museum in Bremerton. On Whidbey Island, take in breathtaking scenery. If you’re interested in catching a glimpse of a whale, board a Clipper vessel in Seattle to head out for a whale-watching adventure! In Central Washington, ride the Lady of the Lake boat down the length of gorgeous Lake Chelan to the tiny town of Stehekin. Stchekin is only accessible by boat or float plane, and is full of outdoor adventures that any family will love! Stay at these family friendly hotels in Washington! Washington State is home to five species of Pacific Salmon as well as steelhead and cutthroat trout. These big fish spawn and rear in local streams and rivers. They migrate to the sea to feed and grow. Then, they return home to the very same stream in which they were born! 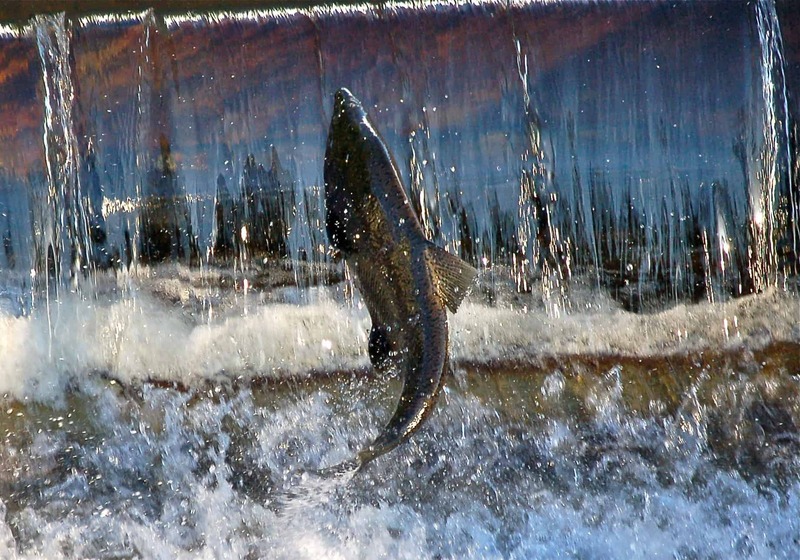 Most species spawn in the fall, making it the best time to go salmon-viewing. One of the classic things to do in Washington State is visit a salmon hatchery. At the Issaquah Salmon Hatchery you’ll get a close up view as salmon cram and leap their way up a fish ladder into the hatchery. To see salmon spawning in the wild, head to the Cedar River. During peak season, visit information booths at prime salmon viewing locations, or bike along the Cedar River Trail to spy salmon on your own. At the Ballard Locks, you can get a great view of adult salmon migrating upstream through underground viewing windows. From the path, you can sometimes even glimpse a fish leaping all the way out of the water or a sea lion waiting for dinner! For year-round no-fail salmon viewing, visit Seattle’s Pike Place Market to view whole fish of every species displayed on ice. If your timing is right, you might even see a flying fish as fish mongers torpedo-toss salmon through the air while the crowd cheers in approval of every slippery catch. Do your kids think that fruit grows in the grocery store? Opportunities abound in Washington to get your family outside and learning about agriculture. 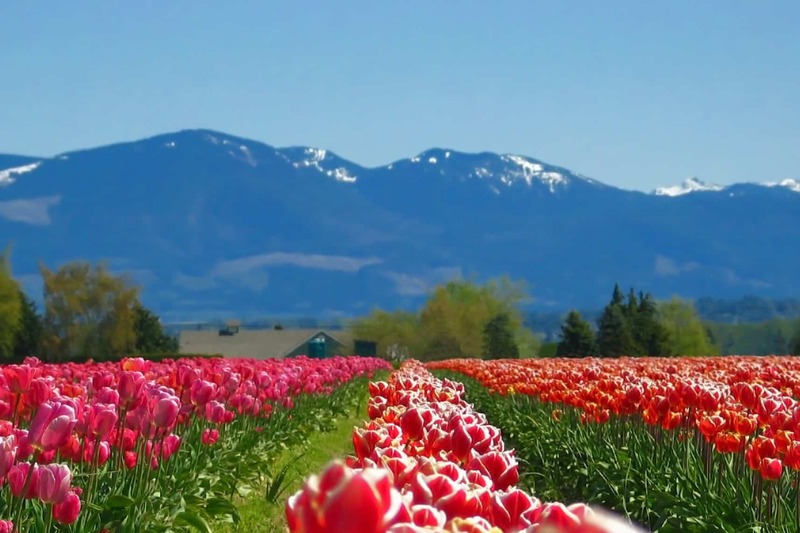 During April, head to Skagit County for the amazing Skagit Valley Tulip Festival, where gorgeous flowers and photo opportunities are everywhere you look. In the summer, how about picking apples, raspberries, or strawberries? If you’re a fan of beautiful, fragrant fields of lavender, be sure not to miss the Lavender Festival in sunny Sequim. Washington is also home to scads of wineries, which offer beautiful grounds for kids to play and tasting rooms for the grown-ups! Want to spend even more time learning about farm life? Consider a farm stay or a farm tour. Beyond the Cascade Mountains, Eastern Washington is a sunny playground waiting to be explored. Visit the wild-west town of Winthrop where kids can enjoy ice cream outside on bar stools hitched with real horse saddles! On Memorial Day and Labor Day weekends, don’t miss the local rodeo! This event is sure to keep all kids riveted to the grassy spectator’s hill. The kids will also love participating in the stick horse race or the chicken catch. Further south is Leavenworth, a Bavarian village boasting summer art fairs, liederhosen-clad musicians, in-town goats, a putting course, and Bavarian-themed miniature golf. In the summer, Leavenworth is a great place for whitewater excursions on the wonderful Wenatchee River. 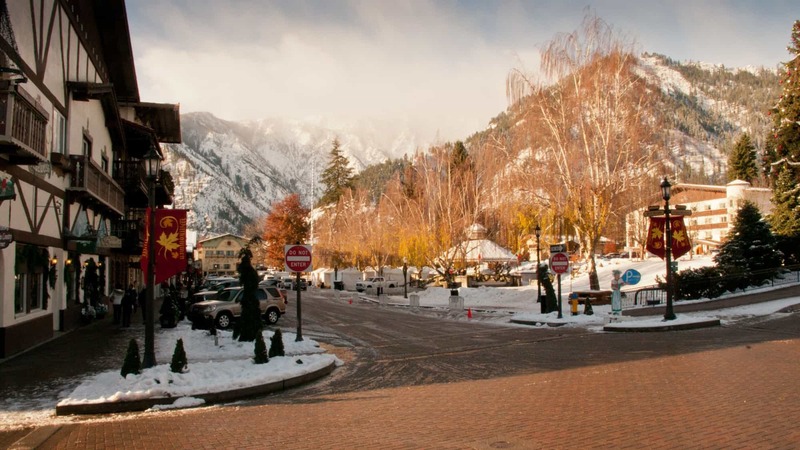 In fall, Leavenworth hosts OktoberFest, a family-friendly festival featuring good food, beer, and music. Check out the late September Prosser Balloon Rally in the town of Prosser. Enjoy a local craft fair by day, Nite Glow (anchored balloons lit from inside) just after dusk on Saturday night, and sunrise balloon launches every morning. Spectacular! And in the city of Spokane, your family can float past the Spokane Falls in SkyRide (voted one of the top 12 scenic cable rides in the world!) before enjoying miniature golf and riding amusement rides in Riverfront Park. Eastern Washington has fun waiting for your whole family! One of the jewels of Washington State is the beautiful and diverse Olympic Peninsula. The peninsula is home to charming towns like historic Port Townsend which has a lovely downtown area, sweeping views of the water, and historic homes. Sunny Sequim sits in the rain shadow of the Olympic mountain range. 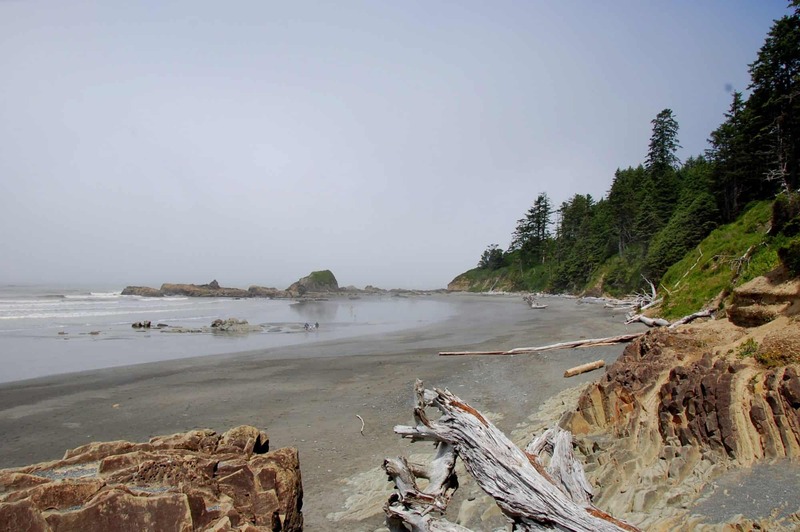 The heart of the peninsula is the Olympic National Park. This national park covers almost one million acres and includes three separate ecosystems! Your family can stare in awe at snow-capped alpine peaks and glaciers, wander through a rain forest, or spend time exploring the beaches and tide pools. Ride, pat, and feed the animals! Olympic Game Farm in Sequim is sure to make every kid (and most adults) scream and squirm. Feed bread to antelope, zebra, llamas, and even retired Hollywood bears! 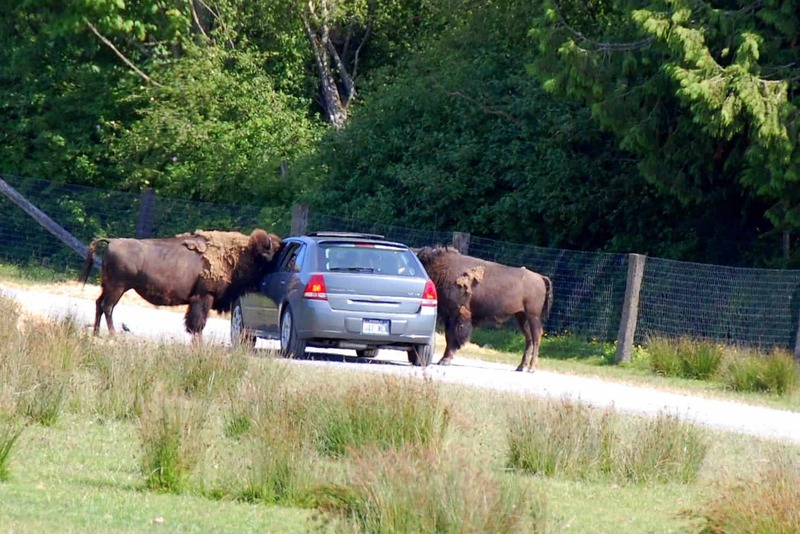 Then, drive slowly through the field filled with huge bison ­- expect to visit the car wash to remove bison drool on your windows after your visit. To see native animals in wild habitats, visit Northwest Trek, about an hour southeast of Seattle. Take a walking tour of native animal exhibits including otters, badger, grizzly bear, wolves, and cougars. Then, jump on a tram to get close-up views of bison, elk, moose, bighorn sheep, and mountain goats roaming across the 435 acre facility. Are birds more your family’s speed? Feeding parrots at the Willawong Bird Feeding Station in the Woodland Park Zoo can be quite a thrill. The little birds land gently on a seeded stick for a treat. And, don’t miss the chance to ride a camel at the Point Defiance Zoo and Aquarium in Tacoma. Seattle has so much to offer visitors and residents alike. It’s home to wonderful family-friendly museums such as the Museum of History and Industry, the Seattle Art Museum and Seattle Asian Art Museum, the Pacific Science Center, and the beautiful (and free!) Olympic Sculpture Park. 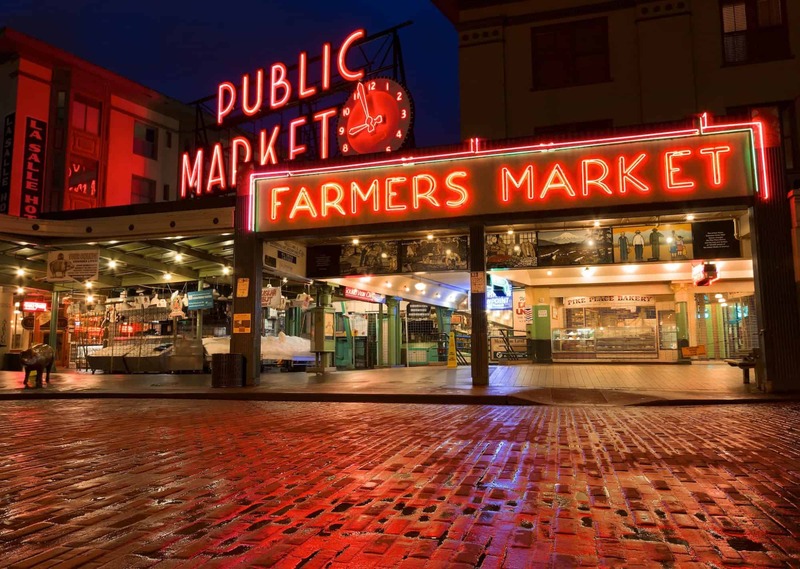 Of course, you can’t visit Seattle without heading downtown to wander through iconic Pike Place Market. In addition to watching salmon fly through the air, check out the fresh produce and gifts, and take photos of the stalls filled with beautiful flower bouquets. Seattle is also home to Woodland Park Zoo and the fantastic Seattle Aquarium! After your trip to the Aquarium, ride the Great Wheel and eat lunch at Ivar’s Fish Bar along Seattle’s waterfront! Be sure not to miss Gasworks Park. It is one of the most unique parks in Seattle. Here you can fly a kite, admire the Seattle skyline, sit along the water, or play among the former gasworks! Interested in an afternoon at the beach? Check out Alki Beach (where the first settlers landed in Seattle), Golden Gardens or Carkeek Park. And, for a truly unique view, head to Pioneer Square for the quirky Underground Tour, where your family will learn about Seattle’s history while exploring its underground neighborhoods! Find the best hotel deals in Seattle! Who hasn’t wanted to sleep in a teepee? The Yakama Nation RV Park offers genuine teepee camping as well as wi-fi, an outdoor heated pool, a hot tub, and two saunas! Just bring your pillow, sleeping bag, PJs, and a bedtime story about Native American history. A short walk up the road, the Yakama Nation Museum and Cultural Center is a perfect spot to engage your family in a deeper exploration of the history of the Yakama people. At the Makah Cultural and Research Center in Neah Bay, you can examine hundreds of artifacts recovered from archeological excavation of a Makah village, as well as see full size replicas of canoes and a long-house. In Suquamish, visit the Suquamish Museum designed to reflect the traditional Big House architecture of the area. Closer to Seattle, you can visit a traditional longhouse overlooking the Duwamish Valley. At the Burke Museum on the University of Washington Campus enjoy a fantastic exhibit, “Pacific Voices”. 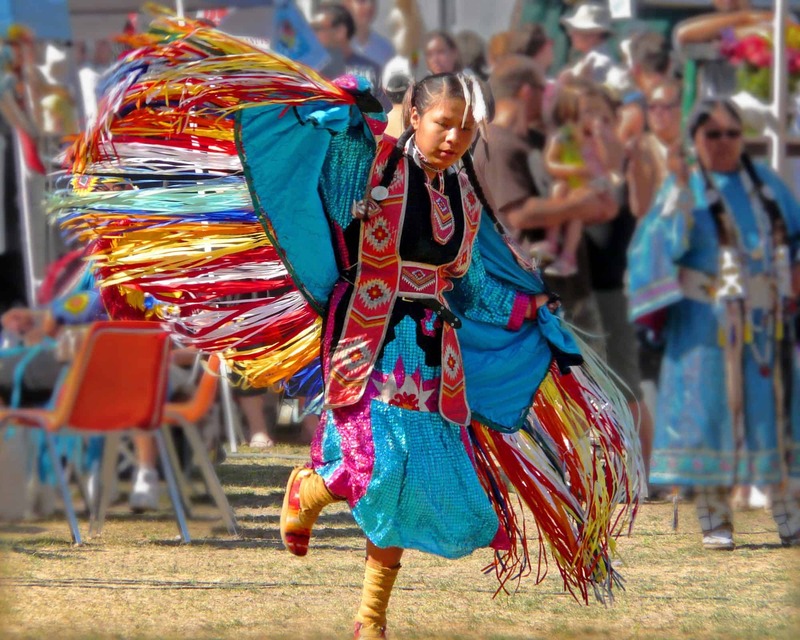 In late July, your family can experience modern day Native American culture at the SeaFair Pow Wow in Seattle. Witness vibrant dancing and drumming, and browse the vendors selling art and jewelry. Don’t forget to enjoy the delicious, traditional salmon dinner! Washington is home to the northern Cascade Mountain range and its volcanoes. The best known is Mount St. Helens , which dramatically blew off its top in 1980. There’s still lots to do and see at Mount St. Helens- hiking, learning about volcanoes in the visitors’ center, and of course gawking at the mountain and its crater! Mount Rainier, the large mountain featured on Washington’s license plates, also offers tons of activities for families. 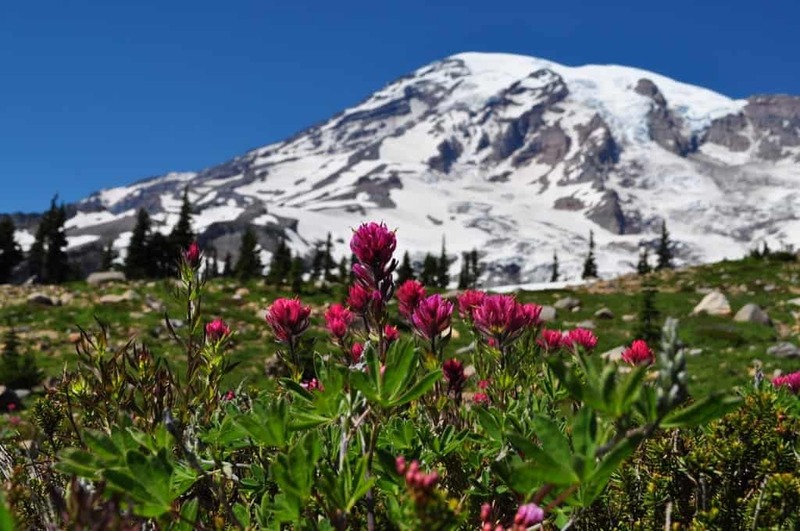 Hiking, nature walks, admiring meadows full of wildflowers, camping, and snowshoeing are all possible at Mount Rainier National Park! Up in the northern part of the state, Mount Baker towers over the Mount Baker/Snoqualmie National Forest. Families can enjoy hiking, biking, fishing, camping, horseback rides, swimming, and boating. In the winter, Mount Baker sports a popular ski/snowboarding area. 1. Let your Imagination take Flight! Washington takes great pride in its aviation history. 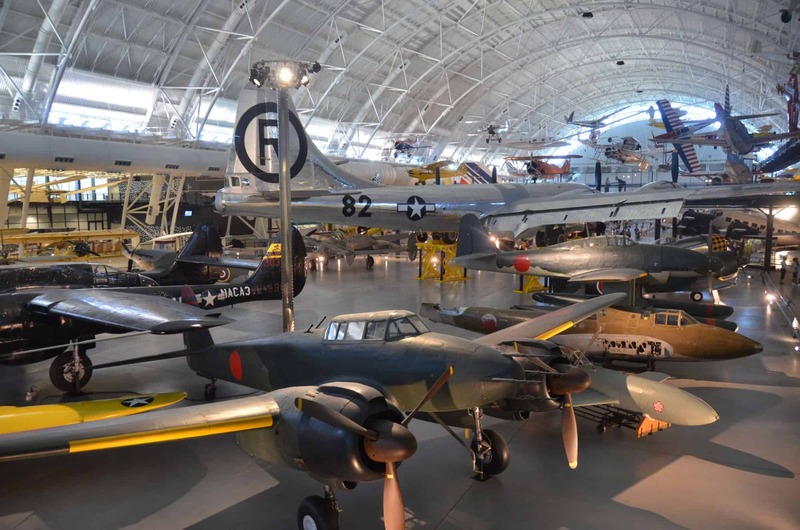 Families will adore the Museum of Flight, located just south of downtown Seattle. It has huge galleries with planes of every shape and size. There are many displays to educate families about the role of aviation in military history. You can walk through a retired Air Force One jet, gaze at a Concorde jet, and even get up close and personal with the Space Shuttle trainer! Up north in Everett, families can take part in the Future of Flight Aviation Center and Boeing Tour. During a 90 minute tour, your family will learn about Boeing and see jets being assembled on the assembly line! Tip: Visitors must be 4 feet tall to participate in the tour and there is a lot of walking involved. What are your family’s favorite things to do in Washington State? Special thanks to E. Ashley Steel for her contributions to this article. E. Ashley Steel is a long-time Washington resident and mother of two, is co-author of “Family on the Loose: The Art of Traveling with Kids” and co-curator of www.familyontheloose.com. 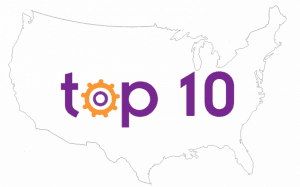 Thanks for checking out the top 10 things for families to do in washington state! What state do you want to visit next? What fantastic tips – and definitely travel inspiration! thank you! Top ten reasons why I could not leave this amazing green state!!!!! Mention smaller festivals but not the Bloomsday Festival in Spokane! It’s a major event, and it goes hand in hand with the annual Bloomsday Run, which is a qualifier for national and international running events and always pulls a few Olympic champs or Olympic hopefuls. Thanks for the tip- that’s a good one! oh Boy, I would not recommend Oktoberfest in Leavenworth. It has turned into a Mardi Gras of sorts over the last 10 years. 20-somethings get very drunk and loud early in the day and on into the next morning. Its not unusual to see somebody throwing up on the streets the next day. Leavenworth is much more family friendly during the holidays, when they have a town lighting ceremony every night. never knew there was so many places in Washington.